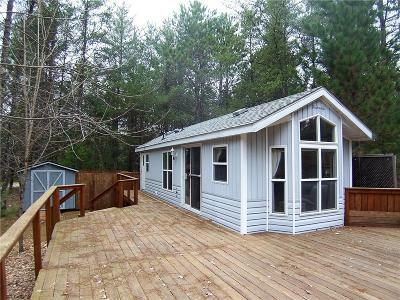 Like New park model nestled in the woods of NW Wisconsin, voyager village perpetual camping area. Septic and well installed in 2005, Roof replaced in 2014. Newer beautiful, huge, magnificent wrap deck added in 2010 for entertaining. 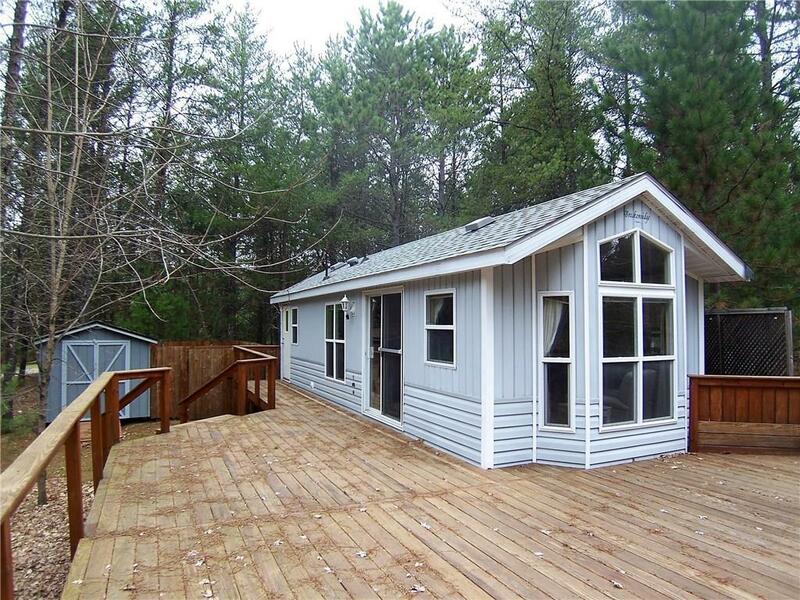 Spacious interior, fully furnished, dishes, ready to move right in! Shed with privacy fence area. Annual membership to Voyager Village with 5 private lakes, boat slips, full exercise, pool and sauna, golf and many fun social activities for you to enjoy.